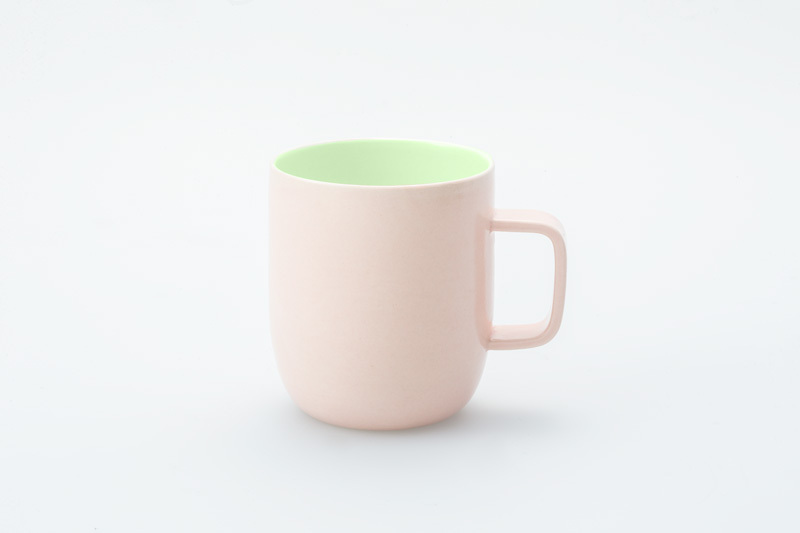 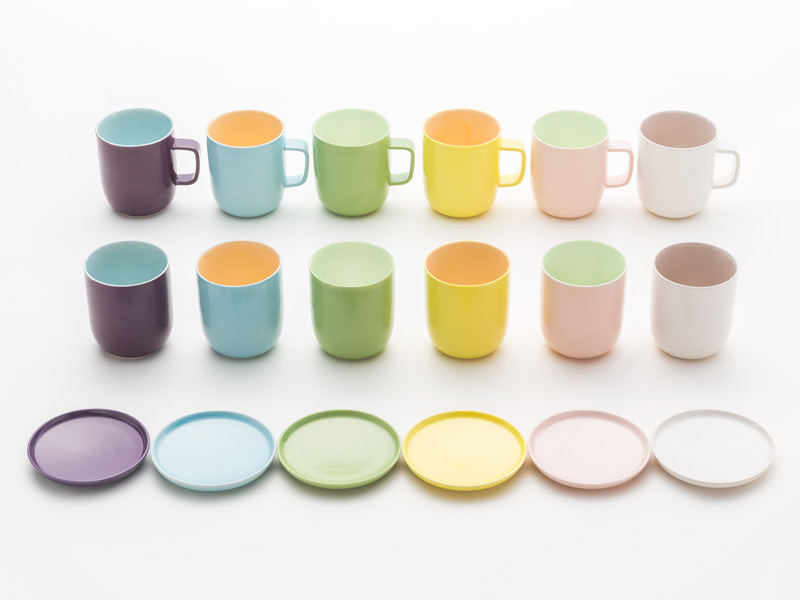 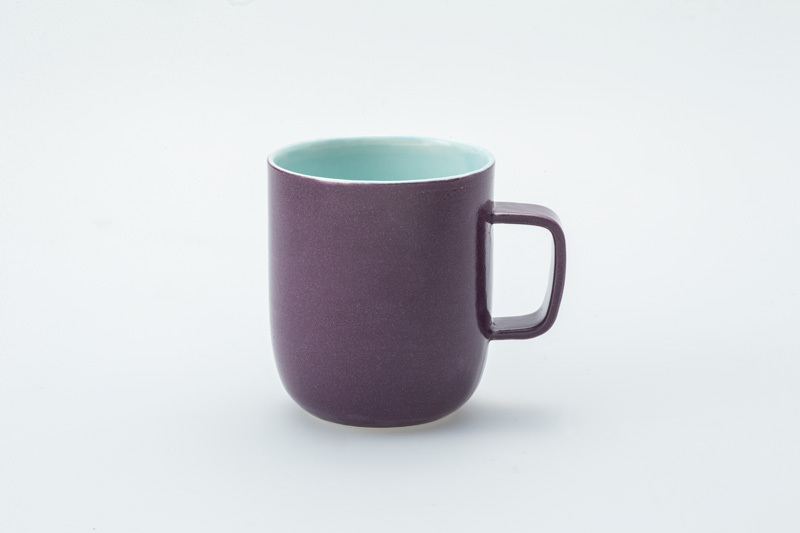 A ceramic tableware collection made in Kyoto. 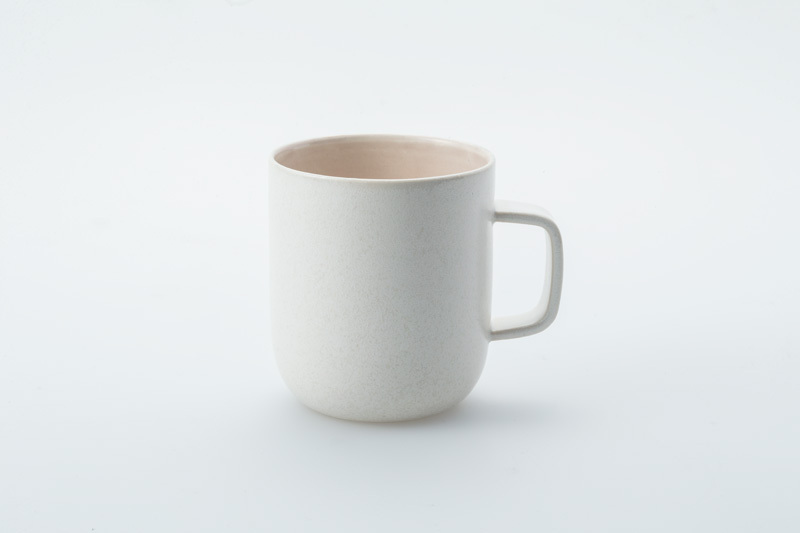 The details are carefully designed to ensure good usability to these essential forms. 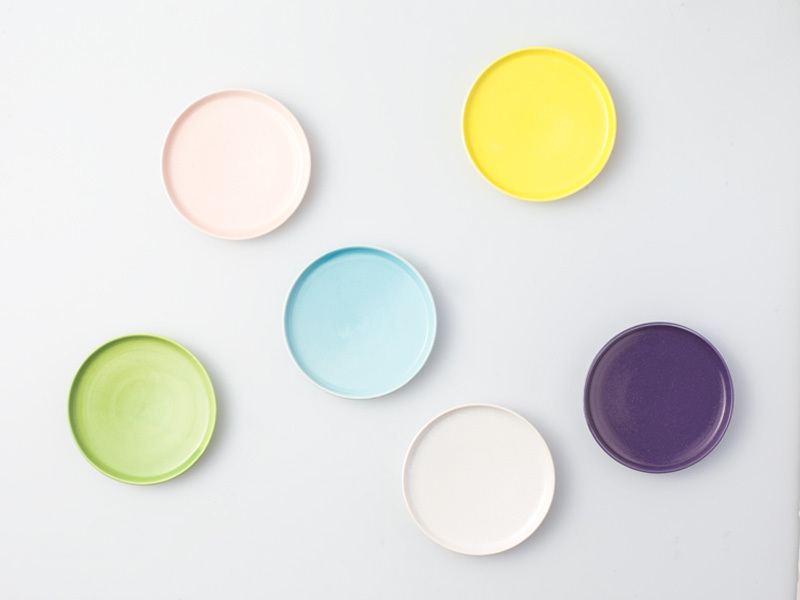 The 6 colors are inspired by the scenery of Kyoto and are named – from left in the photo above – Kamo Eggplant, Asamizu (shallow waters) of Kamo river, Kōtō-in Maple green, Autumn cold Saga Chrysanthemum, Hananari Weeping Cherry and Miyako Gull Impassivity. 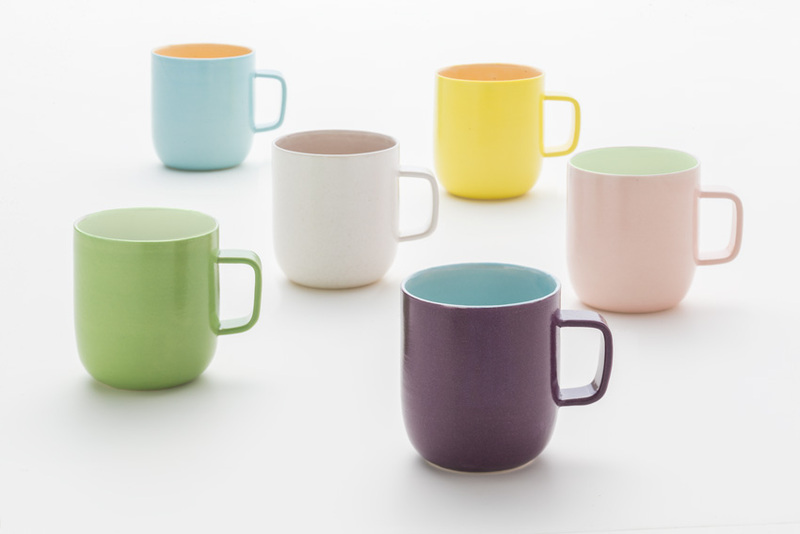 New colors of Kyoto scenery will be added to the collection every season. 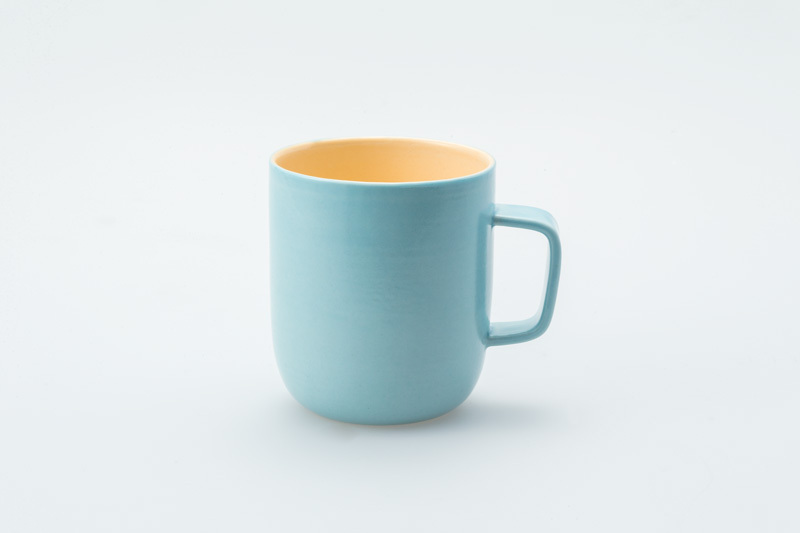 The ceramic products are made by Kyoto-based potters. 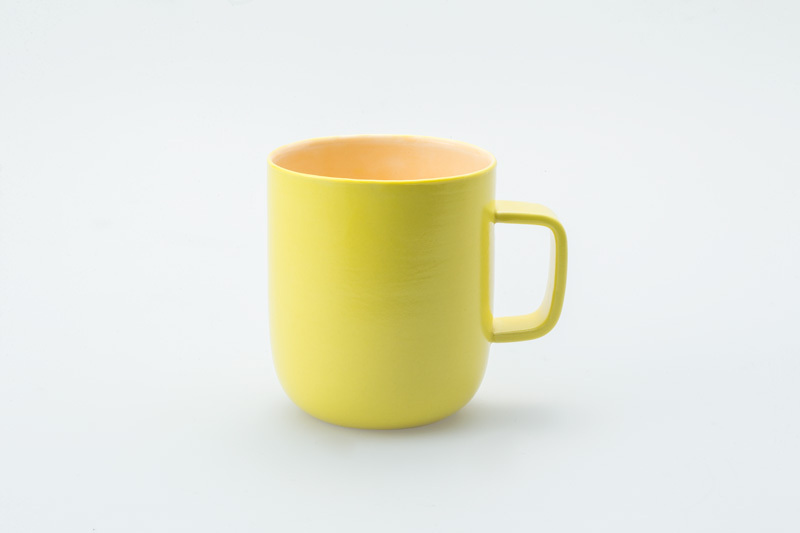 base forms are made by Takahiro Okayama. 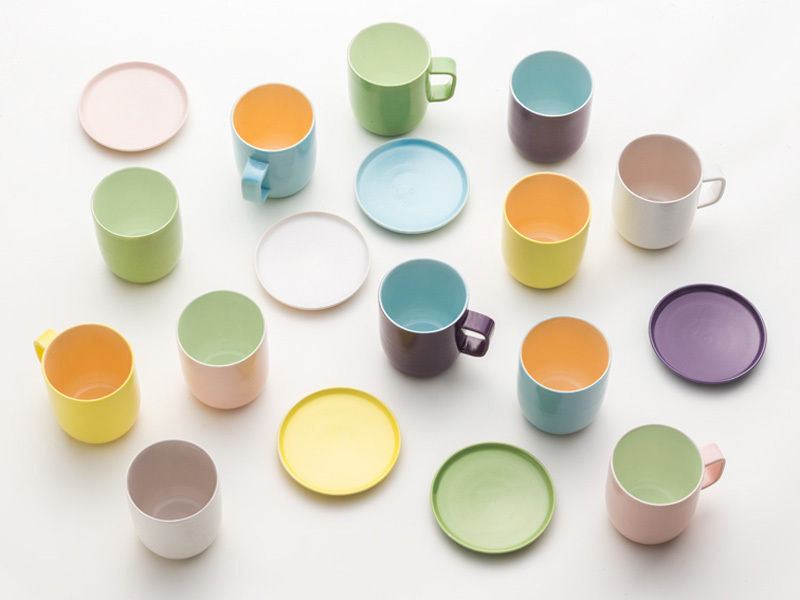 glazes are made by Takako Hirosue. 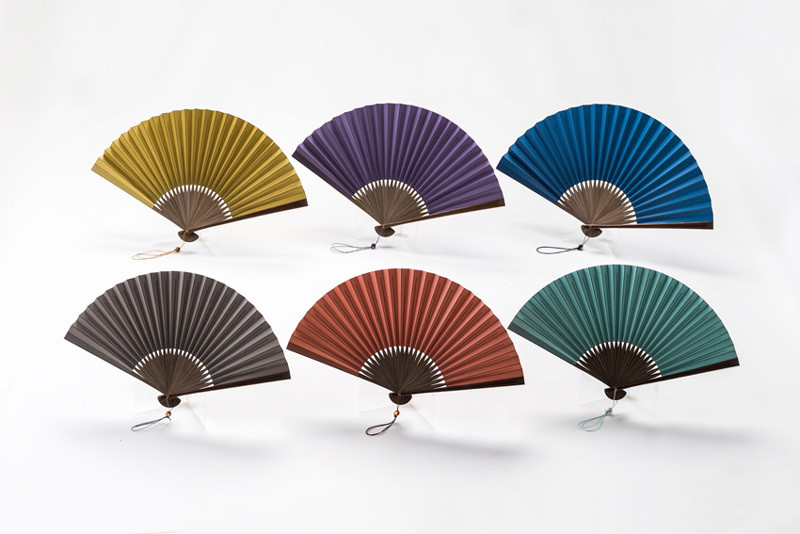 The Kyo-sensu line is produced in collaboration with Miyawaki Baisenan, a folding fans maker founded in Kyoto in 1823. 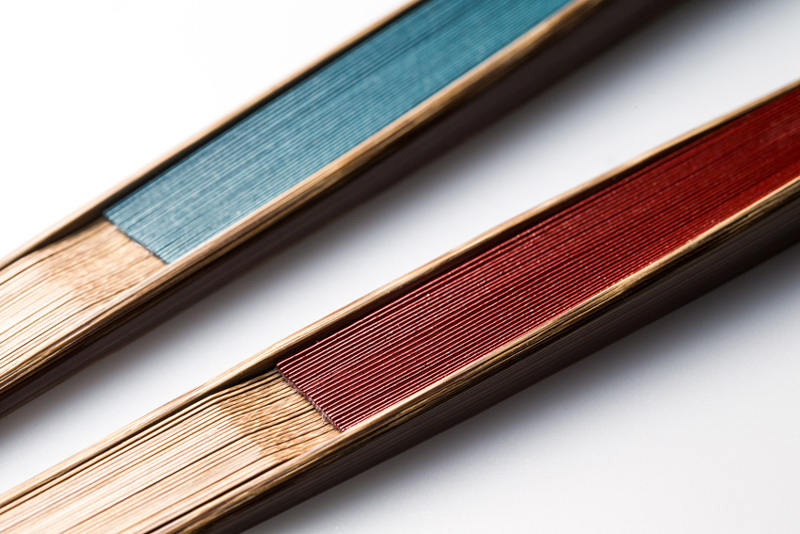 The colors are inspired by the scenery of Kyoto and are named – from left in the photo above – Kuchiba (yellow-brown fallen leaves carpet) covers the Ground, Murasakino (confined field of purple flowers) Bound, Spring night Oboro-Zuki (hazy moon), Ran (rail) of Saga Bridge, Kiyomizu (a temple in Kyoto) Autumn Night and Sunzuri (cool) River Terrace. 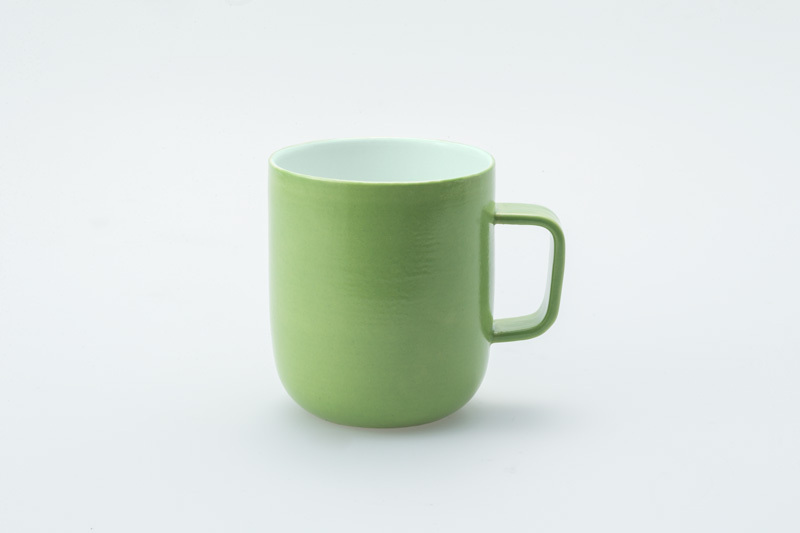 Since the top of the creases and the edges are lacquered with Japanese Urushi, it has high durability and elegance. 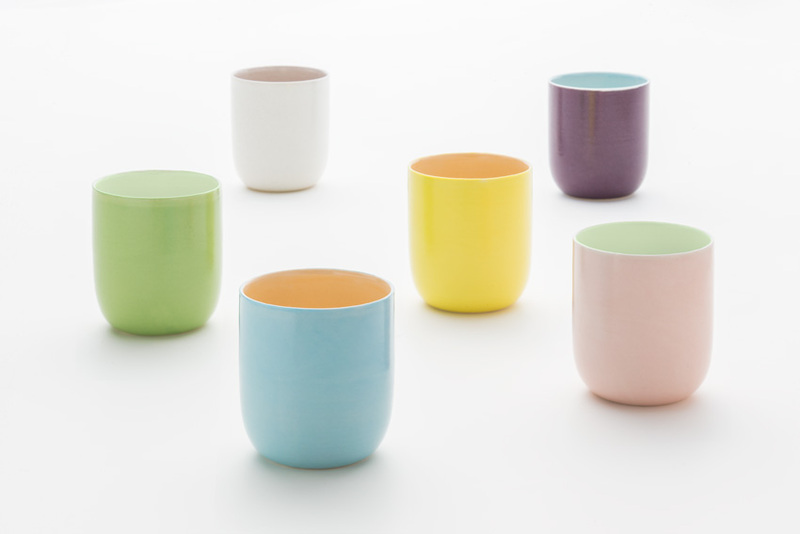 The colors of Urushi differ according to the surface they are applied to, and closing the fan changes its appearance.